Teletrac Navman has released Teletrac Navman DIRECTOR, fleet management software that intelligently tracks assets and collects data to meet a range of business needs and drive enhanced productivity for customers. Teletrac Navman has released Teletrac Navman DIRECTOR, fleet management software that intelligently tracks assets and collects data to meet a range of business needs and drive enhanced productivity for customers. 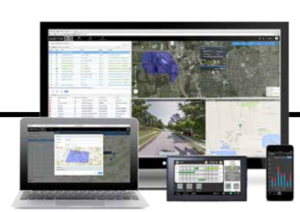 Offering fuel-use tracking, messaging and routing, along with driver behavior analysis tools and concise reporting features, DIRECTOR helps businesses fine tune their strategies and reduce operating costs. Its signature safety module, called Safety Analytics, scores driver performance based on company priorities and replays unsafe driving events to aid driver training. DIRECTOR’s dashboards accumulate information to show trends that would otherwise go unseen, giving companies the insight they need to succeed.